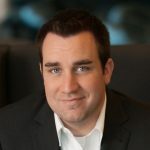 David Burkus is an award-winning podcaster and author of Under New Management: How Leading Organizations Are Upending Business as Usual. 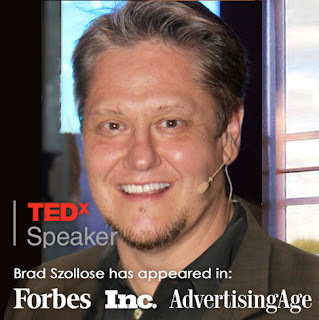 He recently hosted Brad Szollose, a global business advisor who helps companies understand how technology has transformed corporate culture and the behavior of Generation Y (a.k.a., Millennials), to discuss how the influences of video games, Star Wars, and more are helping millennials transform the workplace for good. 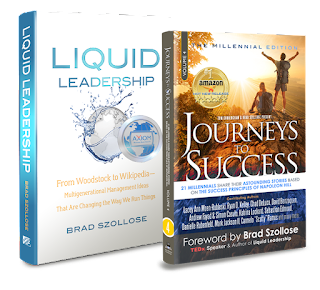 David: As you’ve explored in your book, Liquid Leadership, times are changing, and leadership styles are changing. I wonder if you could take us back to how you arrived at this [conclusion]. 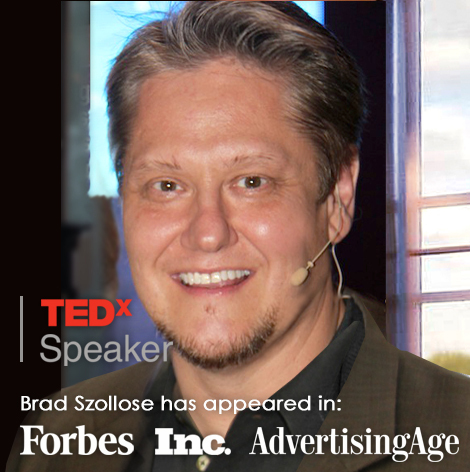 Brad: Around the early 90s, I started a company called K2 Design with my business partner at the time, Douglas Cleek. A year later, he comes into the office. He says, “Dude. We have to become an internet company,” and I say, “What the heck’s the internet?” In the early 90s, very few people knew what the internet was. As soon as we started building our first websites, we exploded. 425% hyper-growth for five straight years. It went from just me and a business partner to sixty employees. [But] the behavior of this next generation [of employees] was driving me up a wall. We had a generational issue. You have a new generation that’s been trained and influenced by three major things. First, let’s go back in time. Around 1977, these new things came into our world called “video games.” How do you learn in a video game? David: You die and then you try again. Brad: You learn the rules intuitively. You push against, you test, you fail as much as you can so that you can figure out what the rules and the politics are. Now if you’re a baby boomer, you remember playing Monopoly. You had to read the box, take your time, learn the rules, and then you could play the game. So what happened is a new generation was raised with all this interactivity. They didn’t just sit and watch a television show. Everything became interactive: Teddy Ruxpin, Speak and Spell, things like that. And in the video game world, leadership is rotational. Everybody is used according to their skill set within the parameters of the quest. So video games are a huge component to the behavior of millennials. The second big piece that influenced this next generation is Star Wars. It changed our perspective on how to use technology in a ubiquitous way. Just like using a toaster or driving a car, Star Wars showed us what a T1 line would look like. Or how to use a pad or a robot, or even a wifi network. And this was shown to us at a time when we had rotary dial phones. It didn’t matter where you were, everybody started to see Star Wars. And from that moment on, if you look at the top 10 blockbuster movies in the last 30-35 years, seven of them have either been science fiction or fantasy-driven. Before that, what did we watch? Westerns and romance and mystery. From 1977 on, the new generation demanded science fiction. From Terminator to Back to the Future to even The Avengers and Iron Man, they are science fiction-driven. But also [in] Lord of the Rings and Harry Potter, what’s the main story? A young or little person uses technology or magic to battle evil adults. David: Of course, there being no real difference between sophisticated technology and magic anyway. Brad: That’s true. Those hundreds of dot-com companies that were formed during the first dot-com boom, 98% of them were started by young people who were born around 1977. So that’ll tell you how influential this great technological wave was. My generation was taught to resist technology, [but] the new generation was taught to embrace technology. And it was from [interactive video games and the consequences of Star Wars]. But there’s a third part to this: child-centric parenting and child-centric curriculums in school. 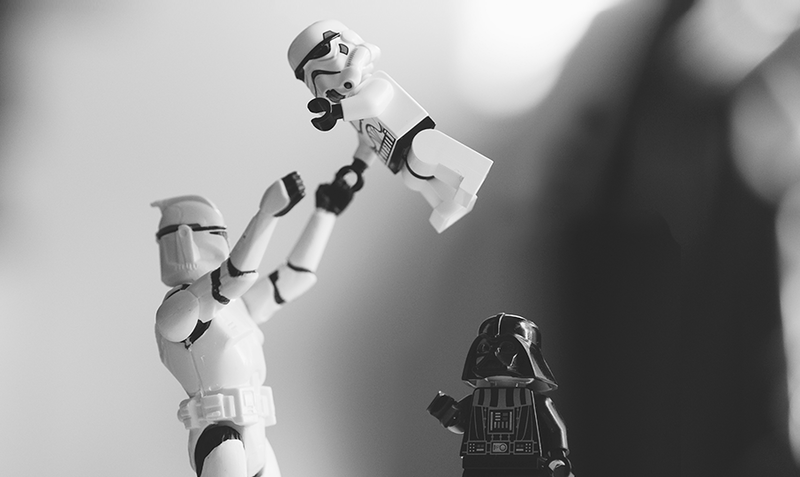 When my dad heard about child-centric parenting, he said, “You know, this is a load of crap.” A lot of parents said that at the time. But what started to take [root] was the idea that a child was special, and shouldn’t be paddled or controlled or yelled at. Instead, [children are] taught to open up their unique creative gifts so that they can find their own way, develop their own talents, and do the things they truly want to do. A lot of [kids] were encouraged to have adult conversations inside the household. And TV shows started to shift as well. You had Doogie Howser who was sixteen and a surgeon, and he was having conversations with adults. 90210 was having all these conversations. And then John Hughes’ films came out, and they started to show the outlier being more important and cooler than the football jock. So what did that do? It flattened the hierarchy inside the home. And I have to look closely at my boomer brethren myself. When we were disgruntled at work, we would complain and fill out our resume, but we would stay for five years. And then we’d go, “You know what? This place is really getting on my nerves. I’ve been here long enough. I’m gonna get my resume together.” And then another seven years go by, and we’re like, “I hate this place, [but] I have a mortgage, and I’ve got kids.” And then after twenty-five years, we’re going, “You know, this place wasn’t that bad.” We never left. We said to the next generation, “Follow your passion. Don’t do what Mommy and Daddy did. We gave our lives to this corporation, and we lost everything in 2008.” They learn this through osmosis. And they are never going to give their heart and soul to a company unless that company treats them with respect. David: I totally agree. Gen X is smaller, right? As boomers are phasing out, there are not [enough] Gen X-ers to fill the managerial and senior leadership roles that are created by the baby boom void. So you have to tap the top millennials. Now you’ve got these people who are a little more individualistic, [who] aren’t gonna let companies control their hearts and souls. But also, the need for talent is pushing them to a higher level faster than Gen X.
Brad: You’re absolutely right. 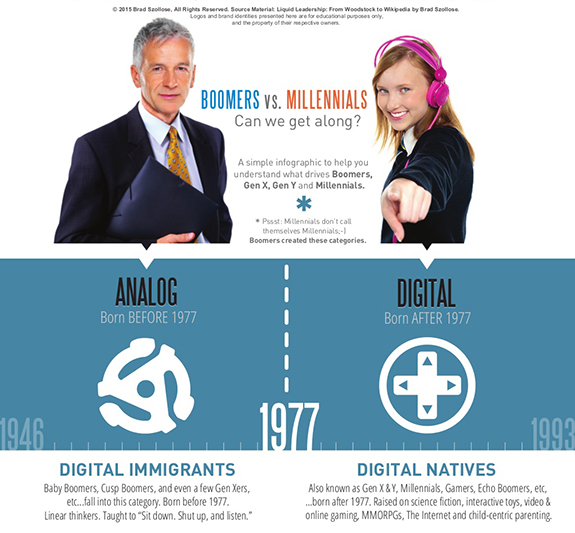 Generation X is a smaller portion of the population. They showed up early, they wore the suits, they obeyed the boomers, they listened to everything, they worked very hard, and now they’re ready for management. But guess what? A lot of Gen X-ers are not reaching for the big salary and the responsibility of that upper-management role. They simply don’t want it. We’ve entered into a time where people don’t equate hard work with getting ahead. Instead they want the work/life balance. They watched their parents work themselves to death, and they don’t want to do it. Brad: Yes. And they’ve found out that when people are given that autonomy, when they’re given the freedom to make their own decisions, they actually work harder than if they had a boss that was driving them and yelling at them. Brad: Rob Hirschfeld and I came up with this analogy. If a millennial is the best at digging ditches, and an old guy has been there for forty years and is slowing down, the millennial believes they should be in charge of digging those ditches. It’s just simply, “If my skillset is better than yours, [you] have to get out of the way, and let me do my job and manage everyone else.” And that can be confusing to a boomer who’s basing their entire career on age. A millennial’s coming up from the bottom and saying, “Look. I’m the fastest at doing this. You’re slowing the company down. Get out of the way and let me run this.” And in many ways they’re right. You may be the boomer who’s bottle-necking everything and not know it. It’s going to take a very dynamic leader to not only communicate extremely well, but [also] see what still works well in the business cycle, let go of what is no longer viable, and listen to a younger person. Or take them seriously, to get the best out of them while not discrediting their enthusiasm, their ambition, their need to prove themselves. David: You said two key phrases there that I’m convinced are the recipe for survival in leading the future of work, which are “listening” and “letting go.” Listening to your people and figuring out what is causing frustrations, and what are they seeing that you can’t see? And then eliminating those barriers, barriers to your ability to see what they see, or barriers to them doing their best work. Brad: Right. If you’re a boomer, remember how we were managed? When the boss was there, what did you do? We started to look busy ’cause we were afraid of our boss. We only obeyed the rules and showed up early to show that we were doing our work. And what did you do with the knowledge that you had gained? You hoarded it. And when the boss was around, you would show how awesome you were at something. We were knowledge hoarders. When management walked away, what’d we do? “We can relax now.” Now the boss has to be there in order to make sure the work gets done on time. I know executive vice presidents who are millennials in the oil and gas industry. And they [say to] their employees, “If you finish your work in two hours, go to the beach. But you damn well better not miss that deadline.” That’s how they operate. So you have a younger worker who wants to work faster, wants to work more efficiently, and doesn’t understand why you [may] want them to just sit there for three hours until the clock hits a certain stroke. They’ve been raised so differently. They [don’t know] they should be obedient to you or fear you or they should get their work in early or put in extra hours. They don’t know any of that. And maybe they don’t need to know that. Final question. In your view, what makes someone a leader? Brad: Leadership is an individual thing. We all have our own style. For me, it is setting the standard for people to follow. But at the same time, being aware and open-hearted enough that you can see the talent in a person that they don’t know they have, and elevating them to be their very best. And in some cases, even better than you. The old saying is, “A true leader helps others become leaders.” I truly believe that. To start this 5 part series off right, let's get something clear; this series is based on my own experience of building several start-ups (8 to be exact), from the ground up. One of which I took public on NASDAQ. Through the years I've learned one thing; the power of any organization is locked deep inside your people. Manage them badly and they leave. Manage them correctly, and they release an unprecedented tsunami of productivity. Honestly I didn't have much of a choice. I was forced to learn how to manage people because I didn't have unlimited funds to shower them with, expecting them to live up to my standard of expectations. Boomer expectations. In today’s fast-paced work environment, clinging to your 100 year old hierarchy can be detrimental. "But Brad, that's the way it's been for 70 years...why change now? We can't change things just because Millennials showed up." Your younger workers aren't the problem. The way Millennials act and behave are a symptom of a much bigger issue; your workforce has been raised differently—trained in business since they were children. I explain it all in my award-winning business book Liquid Leadership. 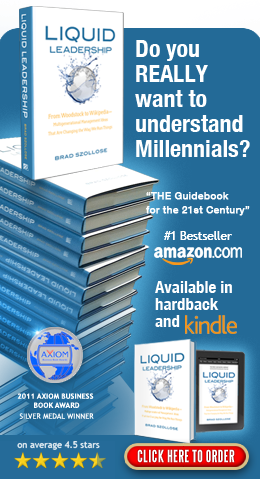 Those of you still complaining about Millennials may not realize they are acting the way they do in your organization BECAUSE they have been trained already in business. I know, hard to believe,...but if you watch my TEDXTalk, you'll see, video games, new parenting methods and a student-centered curriculum have created someone waiting for you to give the right command. Simply put, you are not speaking the programming language for a new generation of worker. A generation Baby Boomers raised. Here is my Liquid Leadership Generational Behavior Chart. Behavior has changed, but in addition, technology has given us the ability to get work done without physical effort anymore. You can work from anywhere as long as there is a WiFi connection, and in some cases, work better. With all these changes, management models haven't really changed much since the turn of the 20th Century. So here are two reasons you need to flatten hierarchy: a 21st Century Organization needs to move faster, and age is no longer the criteria for advancement. Skill is. Former CEO of Cisco, John Chambers flattened the hierarchy back in the early 2000s. You may remember Cisco Systems being the darling of Wall Street back in the Go Go 90s of the Dot Com Era. Suddenly the stock went from $68 per share plunging to $11 in less than 6 months. The Dot Com implosion destroyed solid companies along with weak companies. The bubble had burst on the dot com era and the baby was getting thrown out with the bathwater so to speak. Chambers went into action firing thousands of employees and eliminating hundreds of dud products that were no longer profitable. In other words, to save Cisco, he made her lean and mean by trimming the fat. Chambers also figured out something else, he was the bottleneck that made the company too slow for the up and coming 21st Century. If all decision making in a company HAS to go through the owner, then guess what? That's a company that will not survive very long. John decided to get out of the way and created two autonomous groups within Cisco that made purchasing decisions without him. He created a more democratic organization. What does all this mean? Why must we flatten today's organizations? By getting rid of the distance between decision-making and implementation, an organization starts eliminating bottlenecks, and moves faster. 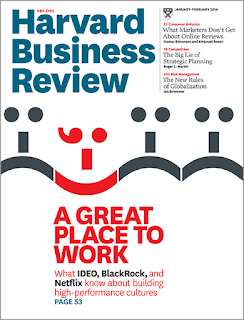 Frictionless productivity starts becoming a reality and communication happens in real-time. And since speed is paramount in the 21st Century. This means your people managers need to be trained differently. Netflix (The online streaming media company a.k.a. TV on the go), seems to have the best grasp of this—training their team managers in team morale and communication has become paramount to their success. One of their tactics is to make sure managers are in charge of creating great teams. By visualizing the outcomes they want, and aligning with the skill sets they NEED to accomplish that goal, Netflix team managers waste no time hiring the right people. Imagine picking only the people you need? That would make you really efficient, right? I'll talk more about Netflix in Step 5. Until then, see you in Step 2: Creating a 'Truth Telling' Environment.